Expert panels represent the working groups of the American Academy of Nursing. They review current research and needs within their fields to make recommendations on projects or initiatives the Academy should undertake to transform health policy and practice. 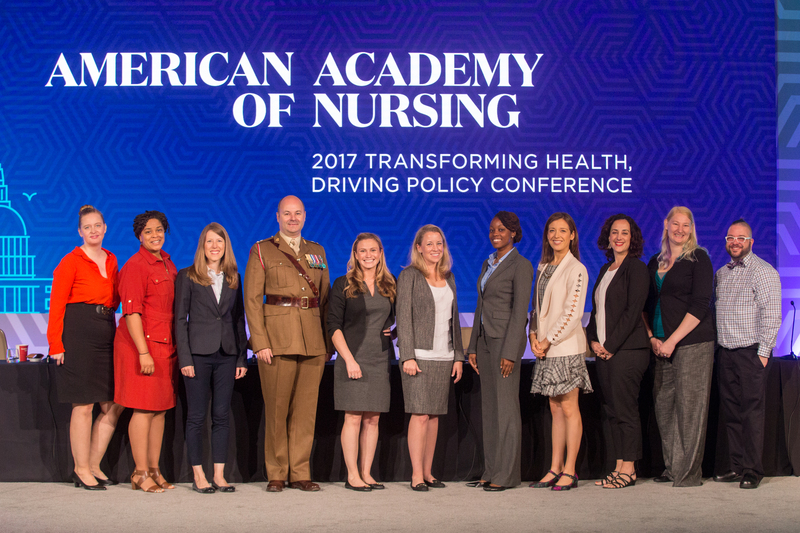 The American Academy of Nursing Jonas Policy Scholar program is generously supported by the Jonas Center for Nursing and Veterans Healthcare. "I am learning not only about the application of the unique knowledge of this amazing group of nurse leaders to useful policy purposes, but I am learning how such a respected group of scholars navigates the teamwork and collaboration. It is an honor to be included in the Expert Panel calls and the Expert Panel's Leadership Circle calls." "To be chosen as the American Academy of Nursing Jonas Policy Scholar for the Cultural Competence and Health Equity Expert Panel is a great honor and a privilege! It has given me the opportunity to learn and experience first-hand how the work of the Expert Panel and the Academy inform and shape health policy. Also, it has given me the wonderful opportunity to work with nursing leaders and trailblazers!" "Providing human milk and breastfeeding are among the leading national public health concerns. I am honored to be selected as the American Academy of Nursing Jonas Health Policy Scholar for the Expert Panel on Breastfeeding. It is a privilege to learn from and participate in the work of national leaders dedicated to the innovation, research, education and development of policy regarding the use of human milk and breastfeeding." "I am honored to have been selected as an Academy Jonas Policy Scholar for the Military and Veterans Health Expert Panel. The mentorship I have received from the expert panel leaders has been phenomenal! Being part of a group that has the ability to influence, inform, and shape policy in regards to improving the health of our military and veteran population as well as our military families is invaluable. In addition, the guidance and mentorship from the Jonas Policy Scholar Advisory Board has provided us with an opportunity to collaborate with other Policy Scholars as well as learn more about the role of the Academy in regards to transforming health policy. Thanks to both the Academy and the Jonas Foundation for this amazing opportunity!!" "The Jonas Health Policy Scholar program offers a great opportunity to learn about the American Academy of Nursing from the inside, to meet national nursing leaders, and to develop skills to advance health policy. It is a great career building experience!" Contact Ellie Cook at ecook@aannet.org.